Did you hear the news? We have a brand new food truck named Genevieve! If you haven’t yet met Genevieve, she will be swinging through some of West Michigan’s biggest celebrations this fall season. We hope you come out and meet Genevieve and join in some Michigan fall fun at the following events. Starting September 22nd, Genevieve will be in Sparta, Michigan for the Michigan Apple Fest where guests can not only purchase a variety of homemade GT Pie favorites including sandwiches and pot pies but also compete in a Michigan Apple Pie Baking Competition. The first five Michigan Apple Pies presented to the panel of judges no later than 12:30 p.m. at the Sparta Chamber of Commerce will compete for three Meijer Gift Cards: First Place $100; Second Place $75; and Third Place will take home a $50 Meijer gift card. The Michigan Apple Festival is located at 194 East Division Street in Sparta. Local history of apples in Michigan, kids’ games featuring Johnny Appleseed with hands-on activities promoting healthy eating, packing production tours and partnerships with farm markets throughout West Michigan will highlight the Festival. Genevieve will continue her trek across the state September 29th and 30th when she arrives in New Era, Michigan for Lewis Farms Fall Fling Festival. Among the many fun fall activities at the farm (including pig racing and a petting zoo! 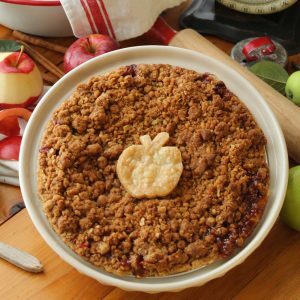 ), GT Pie will have a Kids’ Make and Bake Apple Pie Making activity on Saturday, September 29th, 10 a.m. to Noon, and a Michigan Apple Pie Baking Contest on Sunday, September 30th. 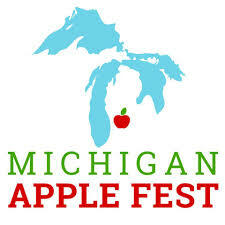 The first five Michigan-made Apple Pies to arrive by 2 p.m. will be judged followed by an awards ceremony at 3 p.m. The top three Apple Pie Contestants will take home a Meijer Gift Card – First Place $100; Second Place $75; and Third Place $50. Lewis Farms is a fifth generation family farm, specializing in home-grown produce on 700 acres. Beyond fresh fruit and Apple Cider, there’s a petting zoo with over 75 animals, outdoor activities including jumping pillows, sports ball zone, gem mining, barrel train rides, pedal carts, carousel, unique playground, and there’s even an animated chicken show for all to enjoy while visiting the working farm. During the fall visitors will come from all over to take in a 6-acre corn maze, pig races, dog shows, and wagon rides. 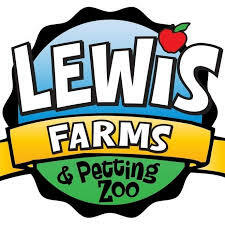 Visit LewisFarms.com for more family-friendly news. Fall weekend farm admission is $14.95 per person and children 2 and under receive free admission. Genevieve will round out her West Michigan tour by stopping at the famous Vander Mill for ‘Vander Fest 2018.’ We will be on location with our new Food Truck on Saturday, October 6th 4 p.m. to 10 p.m. Classic fall favorites will be served including GT Pie Company’s Chicken Pot Pie, pasties, sandwiches, soup, and of course warm Michigan Apple Pies in several varieties including our newest edition – the Apple Mountain Top Pie. The Michigan Cider Association (MCA) is presenting Vander Fest 2018 – a celebration of cider with live entertainment, food from local food trucks, and delicious cider and beer from local cideries and breweries. It’s going to be a fun fall season. We have even more Genevieve fun planned for the east side of the state later in October. Stay tuned for details! Love the truck and the news. Nicely done and very exciting!